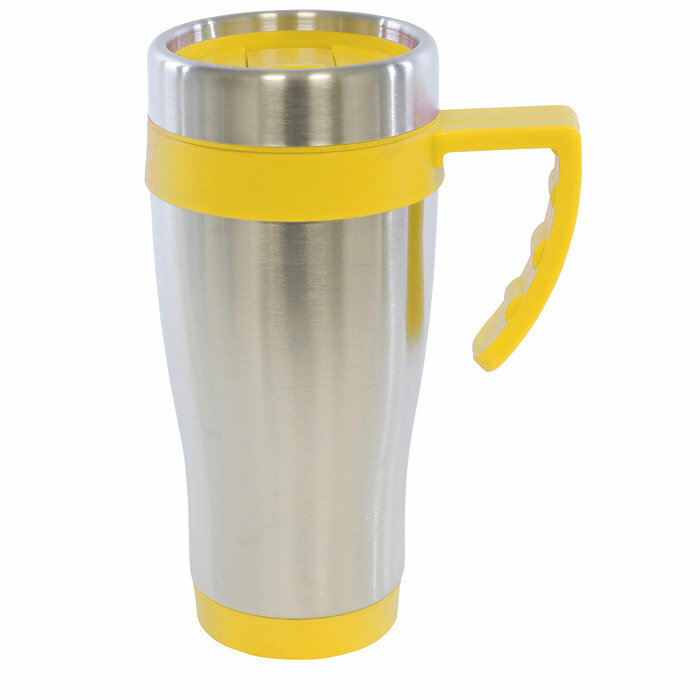 The stainless steel detail to the outer of these great value thermal mugs is simply stunning! 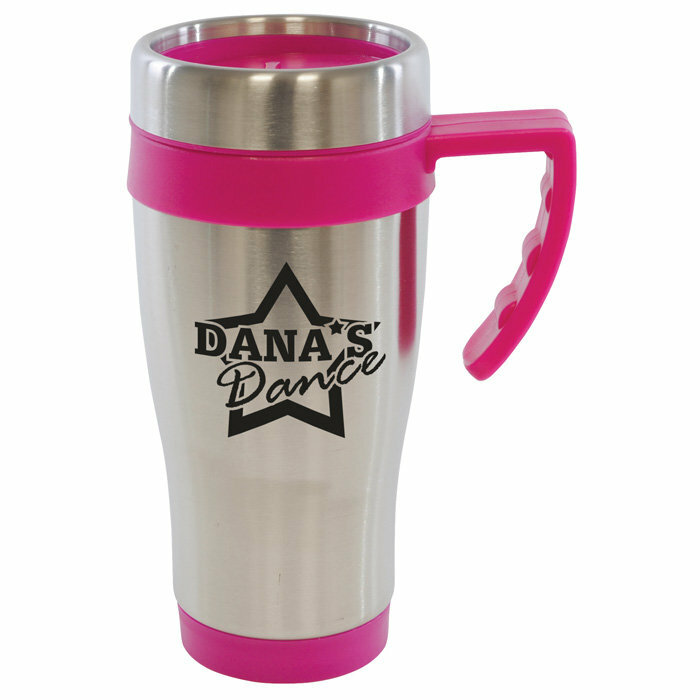 Great choice of trim colours, the handle and inner are plastic. 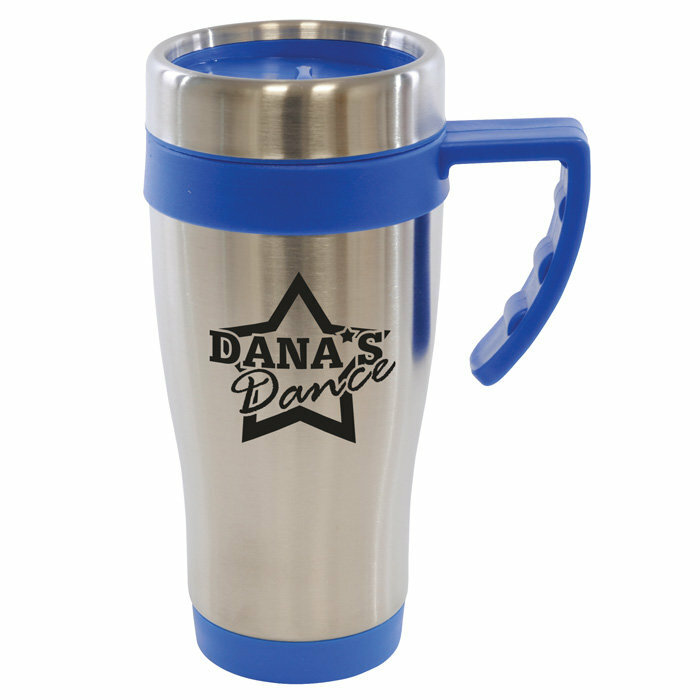 Travel mugs are perfect for the winter and beyond as the thermal properties also keep drinks chilled in summer. 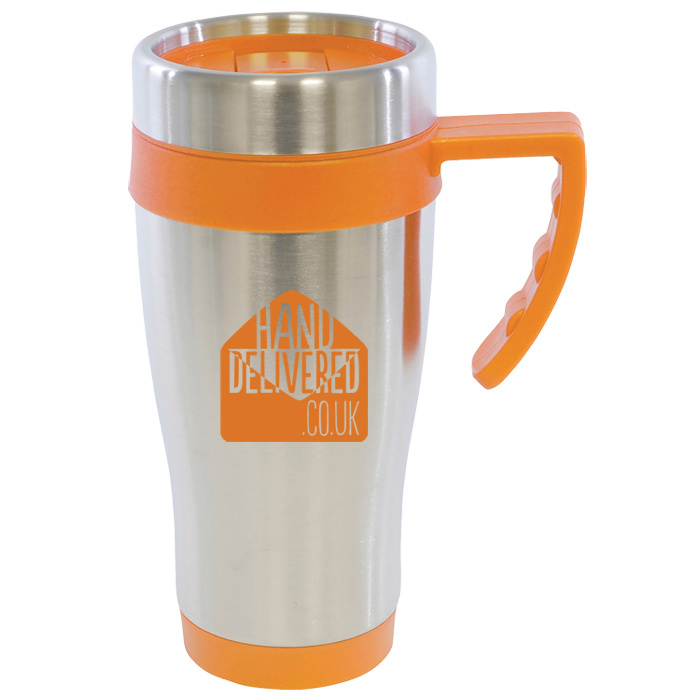 An ideal corporate gift perfect for anyone working outdoors or just as handy in the office to reduce spills. For orders of 500 mugs or less (with a 1 colour print) we also offer an express service on this item. We can also offer this metal travel mug engraved (costs extra). 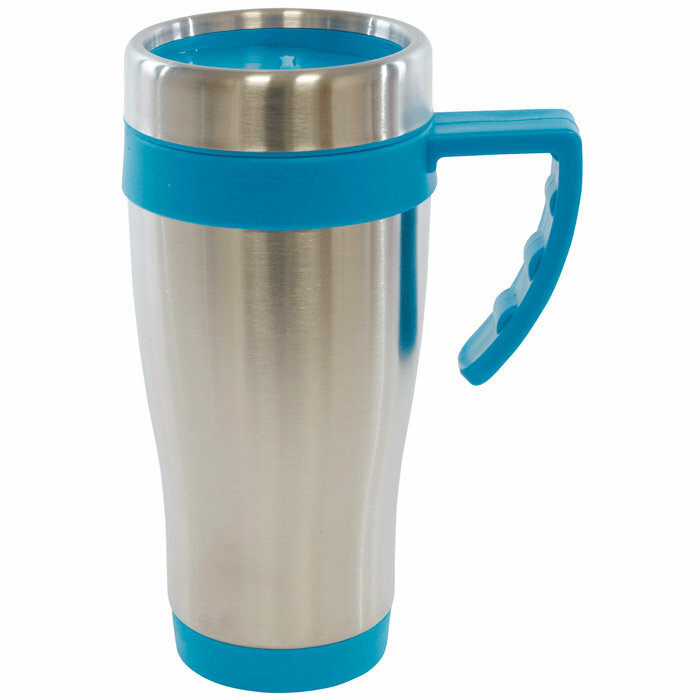 Apologies, Cyan and Pink are out of stock until the end of May 2017 - we are sorry for any inconvenience caused.